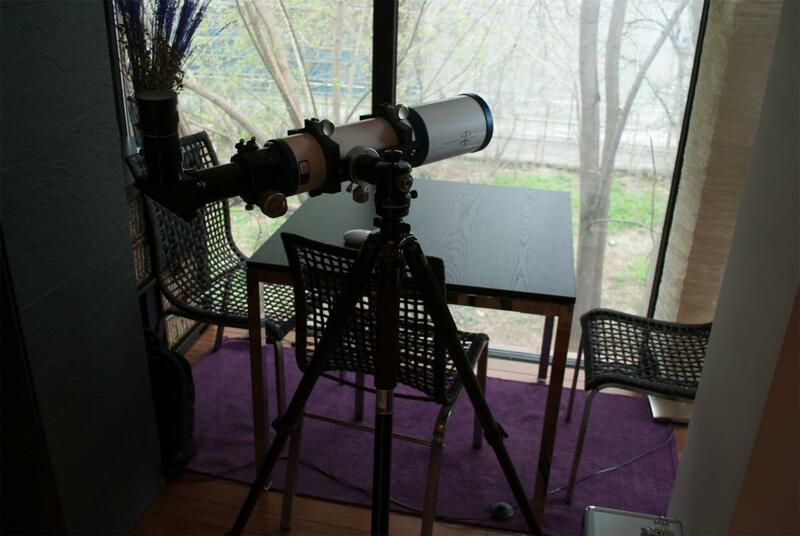 I was wondering what would be the best portable telescope. By portable i mean hand-portable or backpack-portable, rather than car-portable. Unless this would compromise quality too much, then i would have to reconsider i think? 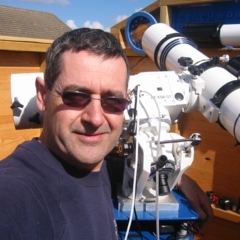 My other considerations are i'm a beginner, have very little time (so the scope needs to be quick to set up i think), and i would probably want to use it for looking at deep sky objects. It would also be good to find a scope which is a keeper - in the sense that if i ever want to upgrade, I would still want to keep this one because of its portability and quality. 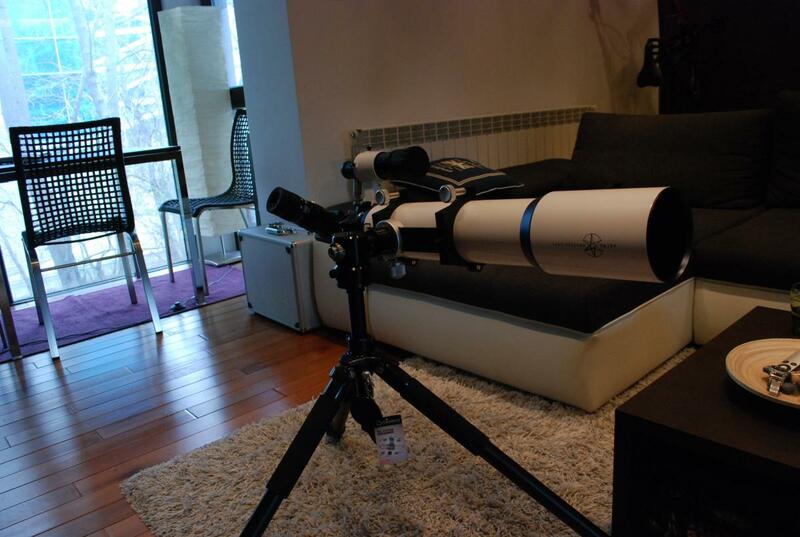 The other important consideration is money, so I think the question is what would be the best telescope for the above requirements, and at the same time good value for money (considering those requirements). The closest I found was a William Optics Megrez 72 with a Giro mini mount head on a photo tripod, though it's not really a deep sky monster. There are some companies (litescope, Sumarian optics) that do compact dobsonians but they're not cheap and I'd guess that weight might be an issue. I think that if you want it to be man-portable and not car-portable I would assume GO-TO is out of the question because that requires batteries, motors etc. This also removes the ability to take long exposure pictures of DSO's since you want a motorized mount for that. In that case some kind of simple alt-az mount and a high quality refractor. Newtons and SCTs are bulky by nature but refractors can be both slim and short. There are quite a few DSO's you could target with a refractor. With a focal length of 500mm you wont be at an advantge for smaller DSO's but large bright ones like Andromeda and the Orion Nebula will look stunning as you will be able to fit them in their entirety with a lower magnification. Depending on eyepiece you could get a lot more than that though. There is a lot to learn about differents scopes and brands so just search on, I dont think its impossible to find a portable "keeper". 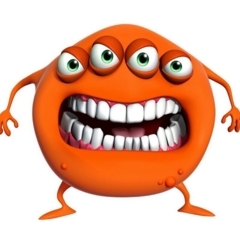 The example I linked could be piggybacked on a largers setup to use for photography or even guide cameras I guess. A Sky-Watcher Heritage 130p is very portable, you could carry it in your hands but not in a backpack. The downside is you need a table to set it on. I am pretty sure that someone mad a tripod that is just a portable stand for it. My first telescope, the Sky-Watcher Mercury 707, fits into a hold all bag. There is also the Celestron travel scope but I don't know what that's like. 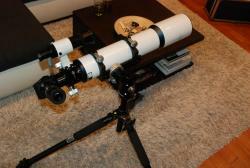 The only scope that I have actually used (of these 3) is the Mercury707 and I really enjoy it! 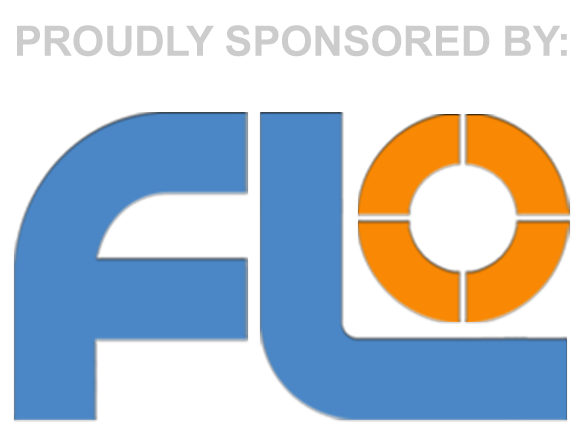 First off, hello and welcome to the forum. Your query is a tricky one to answer without a budget to help really nail down a few options for you. Traditionally, reflectors offer the best aperture for your buck but as hinted above not always the most portable via a rucksack. A short refractor might afford you some nice wide field views of the night sky and its handling of contrast (i.e producing a darker sky) might help those DSO's stand out but you won't have much magnification to help take a closer look. 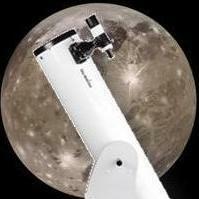 A quality refractor will be more expensive but certainly portable without the need to allow for a minimum cool down time to obtain optimum performance, which is one of the disadvantages of scopes that use mirrors made from thick glass which must reach ambient temperature to function at their best. So first things first, what is your intended budget? Not much of an input but from my experience so far, telescopes themselves (up to a pretty big aperture of 8" to 10") are relatively light, but it's the mount and tripod that really start to get heavy, and you need a good mount and tripod or telescope base (for dob systems) otherwise your set up is going to be very unstable and the image is just going to be wobbling all over the place. So, my advice is to either 1) look into portable and compact dob systems or 2) start from the mount and tripod (forget GEM systems and their counter weights etc) and work-out their complete lugging weight and from there decide what kind of OTA is going to fit your needs. Remember, in either case you'll probably also end up with a selection of EPs, Telrad perhaps, star atlas, finderscope etc and these will all add weight to your portability. Just as a rough idea of what might be possible, I'm currently using an AZ-4 with steel legs which weighs in at about 8.5kgs and you'll be able to use - maximum - on this kind of system: a 150mm Skywatcher at about 5kg, a Tal 100rs at about 4.5kg or a C8 at about 5kg. If you put in a couple of kilos for EPs etc, you've got a lug and go at around 15kg or 33lbs. Get the AZ4 on a trolly and carry the OTA, and you'll be okay so long as you're not climbing hills. Of course you can go lighter, get yourself a lighter mount etc, but you will start to feel a compromise on aperture. I suppose that a close setup would be an ED 80 scope to keep and a Vixen Porta Mount for size and ease of use. The 80's seem to fit the bill of jack of all trades. However that combination is £460 + £250 so £700. However you have asked for a keeper and that means quality. In general an achro would not be considered a keeper, they just are not that high up the quality scale. For dso's, aperture is normally what is needed, but smaller scopes can be very good under dark skies. If you are talking about taking the scope to very dark sites then a smaller scope can be great. I have a 66mm William Optics apo scope which is my 'back pack' scope and comes on holiday with me. I use it on a decent photo tripod. I don't think you mention budget at all? If you give us an idea then it can help to give better advice. At the lower end, something like an ST80 on a photo tripod would be good at dark sites and very back packable. A more expensive short focal length 80mm apo would be another option, possibly on a giro mini or other alt-az mount. The other option is something like a Heritage 130mm which collapses down to a relatively small size and gives you more aperture which would certainly help on dso's at dark sites but probably won't fit in a back pack. Those are my thoughts. Obviously depending upon the strict definitions of portability there may be other options. The ST80 is pretty cheap, very portable, and good enough to keep me very happy so far. I will be upgrading at some point but will keep this for holidays etc. I've bever tried anything else though so my experience is admittedly limited. Under dark skies, the ST80 showed me DSOs as I have never seen them before. 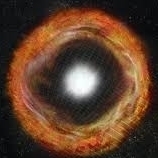 M42 looked like a photo with well-defined dust lanes. I think it depends what you mean by backpack. if you are e.g. staying in a hotel and can walk with the scope, perhaps on wheels then a compact dob system might be possible. it would be something that you could make if handy (or if you know someone who is) or buy if you can find one. at smaller apertures, it's possible to keep weight down to below 10kg. I did this with a 6". hopefully the thread will give you some ideas. I think I could make a 8-10" at under 15kg. if you mean literally backpacking, then it's more restrictive and a small refractor or even Maksutov might be a good idea, the former being more robust I think. If you have a low budget I'd say either the Heritage 130p or a short tube achro on an AZ mount e.g. Skywatcher 80 or 102. If you have a large budget then I'd be looking at Apochromatic refractors for portability and very good quality views, the Moon, planets and brighter DSO's look pretty darn good through my little WO66 Apo on a simple camera tripod. Alternatively, have you considered some binoculars? I have three pairs and they are great, surprisingly good on brighter DSO's. if so I don't think you would go far wrong with a pair of Opticron Aspheric 8x42's. Bit of a conflict in your requirements. If you want to view DSO's you need aperture and aperture requires a good tripod which equals weight which means it's not easily portable. Could I suggest you look at a decent all-round scope for your first purchase and just start enjoying it? I have a 200mm reflector which is a beast to set up and align (although the views are wonderful and worth the effort), so recently I bought an ETX 125 which I can pick up, attached to it's tripod, carry out to my patio and have set up inside five minutes. It mightn't have the light gathering capacity of the 200, but never-the-less I'm getting far more use out of it, and if your time is limited, then that's a major consideration for you. Get something fool-proof and well sorted and if you can throw it in the back of the car, you'll still use it even if you get something bigger down the line. 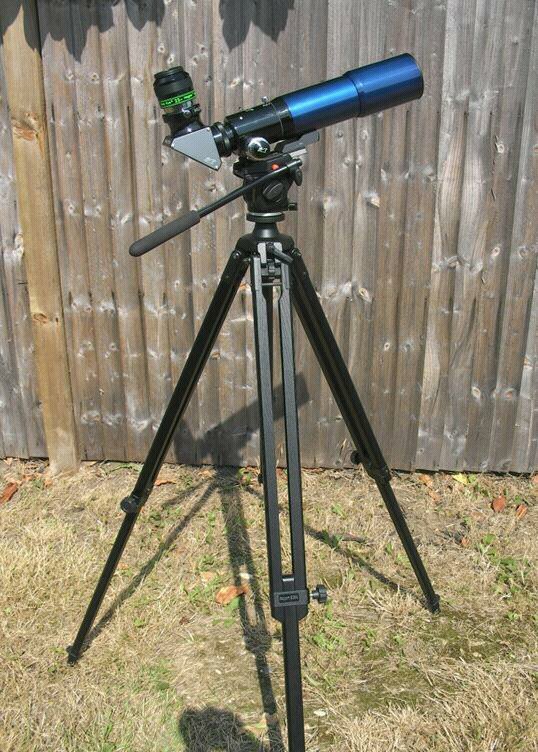 I have just ordered this small cheapo scope, comes with an Alt-Az mount that tracks (but no GoTo). 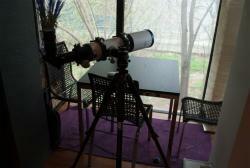 It is to be my grab ´n go for observing evenings with my astronomy group. I use a cullman titan tripod at 4kg it is not light but it is still portable. but with a carrying weight of 30kg they are strong enough to take any portable scope comfortably they are difficult to get in england but come up very often in ebay.de expect to pay £100-200. I know somebody who used to use one for a 6" apo refractor although that was decidedly not a backpack portable scope. I think you've set out a tough set of criteria... And I'm going to go against the grain here, and instead of a telescope suggest a pair of binoculars. They are very simple and easy to setup, nothing faster. A pair of 10x50's will allow you to "see" (sort of) faint stuff... M81 and M82 as tiny faint grey spots, clusters are spectacular though. Even if at some stage in the future you invest in a large setup etc, a pair of binoculars will still get a lot of use (mine do). You can mount them on a tripod, a monopod, or even a broom... or even laying on a camping mat on the ground is actually a very easy way to use them. I have very little knowledge compared to all here. I did spot something today tho which might fit your bill: Ikharos 70mm ED refractor + its case/ would fit in a backpack & apparantly VG for dso. It looked serious quality (compared to my big cheapo-but-fine newtzilla then) the focuser esp so. S/h £200 + a 90*EP mirror thingy + small finder thingy. Ive no idea if a good deal but so compact ~10" long. It looked and felt like an item made of proper solid stuff/ made to last. japanese made- i think. really very nice indeed. I love binoculars, being a portable astronomer myself I regularly go out with 10 x 50's at a dark site or 20 x 80's in a city location can cut through the light pollution quite well for a look at the milky way however what they can't do unless you get very high end ones is let you get in a bit closer to that object that has caught your interest and have a bit of a study. A decent 80 mm refractor with a good zoom and decent tripod is at least as portable as 20 x 80's on a tripod and a lot more versatile. Each have their uses But unless you get very high high end bins with removable eyepieces I don't think they are as versatile as a scope. just my opinion. The one that springs to mind for fitting part of the requirement at least is the Meade ETX80 backpack edition, everything including tripod is in its own little rucksack. I will not carry a chair since I will sit low, on the grass (on a neoprene rug). If anyone did something similar, please share your opinions, especially difficulties encountered.